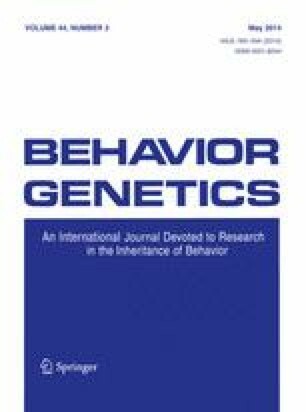 Almost 40 years ago, evidence from large studies of adult twins and their relatives suggested that between 30 and 60 % of the variance in social and political attitudes could be explained by genetic influences. However, these findings have not been widely accepted or incorporated into the dominant paradigms that explain the etiology of political ideology. This has been attributed in part to measurement and sample limitations, as well the relative absence of molecular genetic studies. Here we present results from original analyses of a combined sample of over 12,000 twins pairs, ascertained from nine different studies conducted in five democracies, sampled over the course of four decades. We provide evidence that genetic factors play a role in the formation of political ideology, regardless of how ideology is measured, the era, or the population sampled. The only exception is a question that explicitly uses the phrase “Left–Right”. We then present results from one of the first genome-wide association studies on political ideology using data from three samples: a 1990 Australian sample involving 6,894 individuals from 3,516 families; a 2008 Australian sample of 1,160 related individuals from 635 families and a 2010 Swedish sample involving 3,334 individuals from 2,607 families. No polymorphisms reached genome-wide significance in the meta-analysis. The combined evidence suggests that political ideology constitutes a fundamental aspect of one’s genetically informed psychological disposition, but as Fisher proposed long ago, genetic influences on complex traits will be composed of thousands of markers of very small effects and it will require extremely large samples to have enough power in order to identify specific polymorphisms related to complex social traits. The online version of this article (doi: 10.1007/s10519-014-9648-8) contains supplementary material, which is available to authorized users. We thank the families for their participation. Funding was provided by the Australian National Health and Medical Research Council (241944, 339462, 389927, 389875, 389891, 389892, 389938, 442915, 442981, 496739,552485, 552498), the Australian Research Council (A7960034, A79906588, A79801419, DP0770096, DP0212016, DP0343921),the FP-5 GenomEUtwin Project (QLG2-CT-2002-01254), the U.S. National Institutes of Health (AA07535,AA10248, AA13320, AA13321, AA13326, AA14041, MH-20030 MH66206), the U.S. National Science Foundation (SES-1047687,09210080,729493,0721707, 0721378), the Jan Wallander and Tom Hedelius Foundation (P2008-0072:1), the Ragnar Söderberg Foundation (E9/11), the Swedish Council for Working Life and Social Research (2006-1623), the Swedish Research Council (2009-1713), and the Velux foundation, Denmark. Statistical analyses were carried out on the Genetic Cluster Computer, which is financially supported by the Netherlands Scientific Organization (NWO 480-05-003). S.E.M., is supported by the National Health and Medical Research Council Fellowship Scheme. B.V is supported by National Institute on Drug Abuse (5R25DA026119).